survival, emergency preparedness, prepper, survivalist, everyday carry, emergency kit: Stem cell posible cure for HIV? 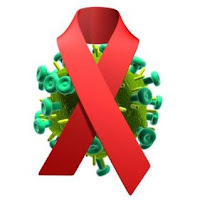 Stem cell posible cure for HIV? Three years after receiving a stem cell transplant, one man no longer has HIV. However, scientists caution that this procedure can only be replicated in certain circumstances and merits further study. In a new study, German researchers have confirmed that an American man living in Berlin was successfully cured of his HIV infection after having received a blood stem cell transplant in 2007. "In conclusion, our results strongly suggest that cure of HIV has been achieved in this patient," the researchers write in the abstract to their paper, which was published last week in Blood, a medical journal. The new paper is a follow-up study by the same German team to one they had published in the New England Journal of Medicine in February 2009. That study found "the patient remained without viral rebound 20 months after transplantation and discontinuation of antiretroviral therapy." "We weren't able to find HIV in his cells," said Dr. Gero Huetter, a hematologist and professor at the University of Heidelberg, and a co-author of the new paper, in an interview with Deutsche Welle. "The new cells have a natural resistance against HIV." Three years ago, Timothy Ray Brown had been an HIV-positive leukemia patient. Prior to receiving the stem cell transplant, he underwent intense chemotherapy to completely replace his immune system. However, the new stem cells that he received had a rare genetic mutation - found naturally in just one percent of Caucasians in northern and western Europe - that causes certain cells to lack a particular receptor, known as the CCR5 receptor, which HIV binds to. At the time Huetter specifically was looking for bone marrow stem cell donors that contained the rare CCR5 deletion. Since his treatment, the so-called "Berlin patient" has been effectively cured of AIDS and its disease-causing virus, HIV, but also leukemia. This likely makes him the first, and so far, only person ever to have been cured of HIV, out of more than 30 million currently infected people worldwide. Scientists have previously seen a very small number of cases where the virus does not replicate inside the host and therefore does not cause AIDS. However, these so-called "non-progressives," represent an extremely small percentage of known HIV patients around the world. An "intriguing" step, AIDS researchers say. In the wake of the new German paper, AIDS and HIV researchers around the world are starting to take stock of this important finding. "It's intriguing that this patient does not have a rebound of the HIV replication," said Jens Lundgren, an AIDS researcher and professor at the University of Copenhagen, in an interview with Deutsche Welle. "They have certainly proven the case that there is no apparent residual infection in this person, and the HIV had multiple opportunities to replicate." Another German AIDS researcher, Dr. Jan Van Lunzen, of the University Hospital Eppendorf in Hamburg, agreed with this assessment. "It seems that so far, this patient is one that we could call cured from HIV," he said in an interview with Deutsche Welle. "This is the only known case, so far." But Lundgren cautioned that researchers cannot claim that they have cured AIDS or HIV as this was only one, very particular case. "We cannot really make statements on cure rates based on a single patient," the researcher, who was not part of the study, added. "This has to be looked at much more comprehensively, and this raises the issue of who wants to undergo a stem cell transplantation? This is not a procedure that you want to do on a whim, if you're otherwise healthy." Huetter and his colleagues, however, say that the CCR5 technique has a good chance of becoming a new method for treating, or perhaps even curing HIV in the future. "Probably in five, 10 or 20 years there will be techniques and procedures which can knock down CCR5 in a more complete way and will substitute this current medication of antiretroviral therapy," he said.